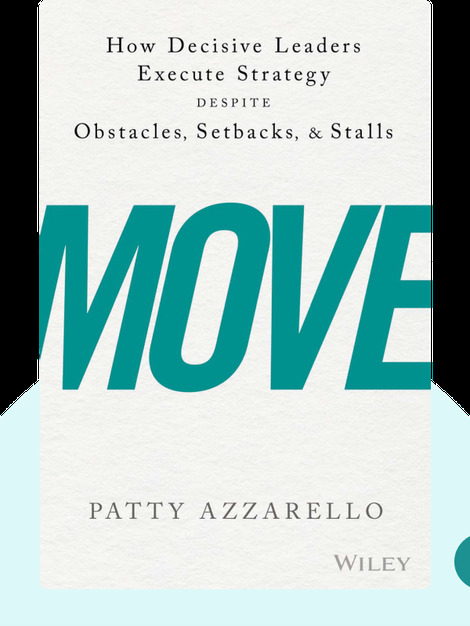 Move (2017) provides an actionable framework for establishing long-term organizational change and introduces the MOVE model, which helps businesses overcome chronic issues ranging from employee skepticism and task prioritization to making restructuring an integral part of company culture. 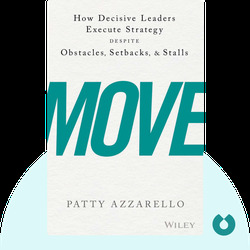 Patty Azzarello, an executive, speaker, author, advisor and consultant, has more than 25 years of experience working in organizational change. At age 33, she became the youngest general manager at Hewlett-Packard. Since then, she’s led numerous successful business-transformation initiatives for companies big and small. © Patty Azzarello: Move copyright 2017, John Wiley & Sons Inc. Used by permission of John Wiley & Sons Inc. and shall not be made available to any unauthorized third parties.